Pinterest happens to be the most powerful social network in these days. With its rapid growth and increasing popularity, Pinterest has taken social networking to some other world. The current hot thing with Pinterest is, people have started to pin pinterest to their blogs and sites. Millions of bloggers worldwide are using WordPress as their blogging platform. This Pinterest and WordPress impact has led several designers to come up with themes that cope up both. Plenty of WordPress Pinterest themes have emerged so far, among which only few has gained popularity. In this article, you will find few interesting Pinterest – like WordPress themes that are currently hot on the market. Apptha’s WordPress Pinterest theme features a Pinterest design layout with a table-less design. This theme is offered at $59. It stands for its versatile design. This Apptha theme is flexible with all screen sizes and compatible to browsers like Firefox, chrome, safari, opera, IE7 and IE8. It lets you to upload logo and images easily. 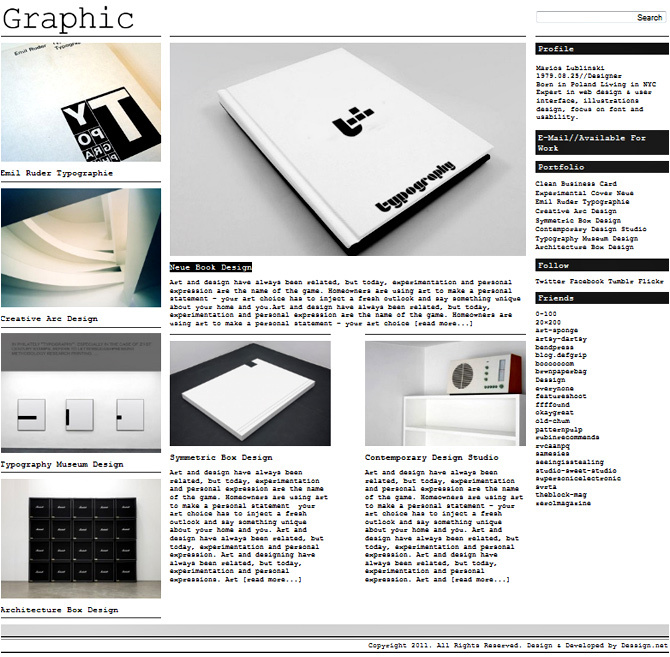 Graphic is a WordPress Pinterest theme developed by the design team. The theme is compatible with WordPress 3.1. Photographers, illustrators and graphic designers would find Graphic to be more significant. Graphic is SEO friendly and hence on installing this theme will let your blogs to rank well on search engines. The theme is compatible with almost all browsers like Safari, Firefox, IE7 and IE8. Graphic is a free theme too. 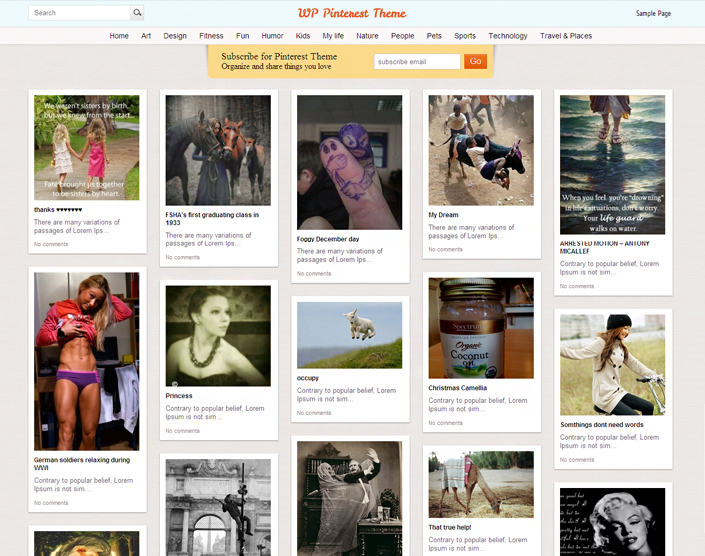 Pinpress is a WordPress Pinterest theme, which is offered at a premium price of $69. Pinpress is loved by photographers, travelers, personal bloggers, and designers since the theme is perfect for displaying visual arts. This theme comes with a multi-column layout with a beautiful responsive design. Pinpress is easy to customize and SEO optimized. 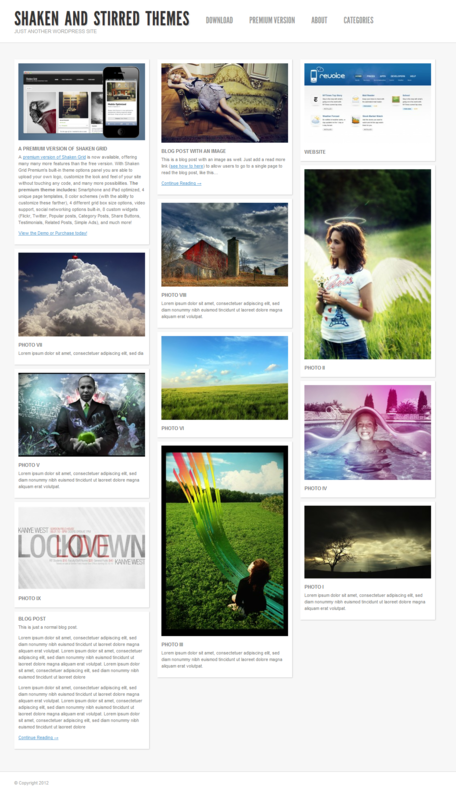 This Pinterest like WordPress theme comes with an ultimate custom admin style that supports front image crop editing. 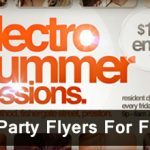 The theme is offered at a premium price of $25. The theme comes with an option for Dynamic Flickr Integration, which allows you to transfer images directly from your Flickr account. 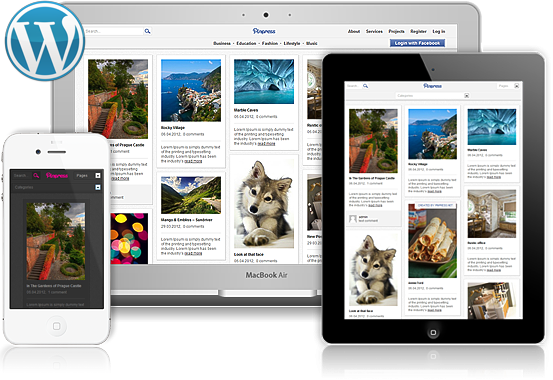 PinPress supports WordPress 3.0 and is designed on a 800 pixel, 8 column grid quality. You also have the option for portfolio style layout, where the images are shown squared. 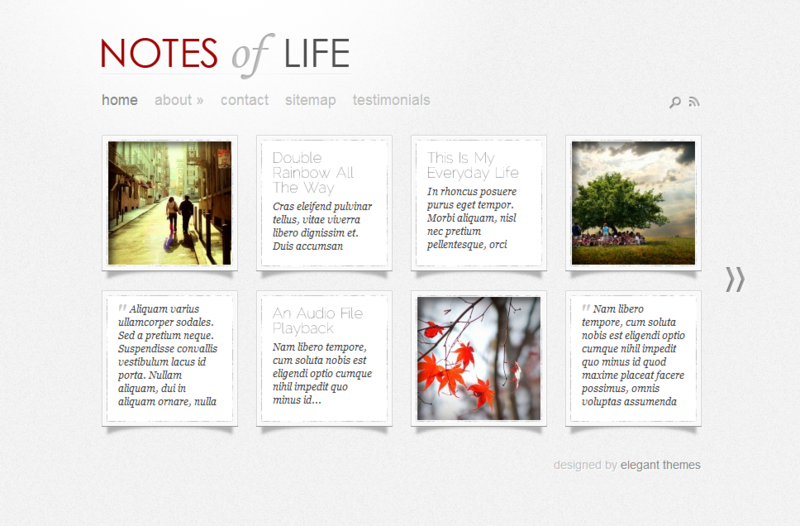 Daily Notes is a WordPress Pinterest theme that is offered at $39. It includes a complete package of 84 themes. This theme is most used by daily bloggers, who wish to share their day-to-day life with your friends. Daily Notes is multimedia integrated and comes in different color themes. It is comaptible with almost all browsers. 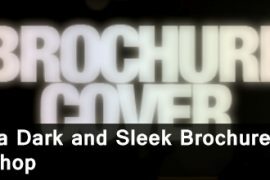 Shaken and Stirred themes is a WordPress Pinterest theme that is offered free. The theme is enhanced for modern web browsers and makes use of CSS3 and jQuery. It has a theme options panel where you have options to change the color scheme of your theme. Shaken and stirred theme is easily customizable and comes with 8 custom widgets, 4 unique page templates, 8 color schemes, video support, social networking features and widgetized sidebar. It is also optimized with Smartphones and iPads. 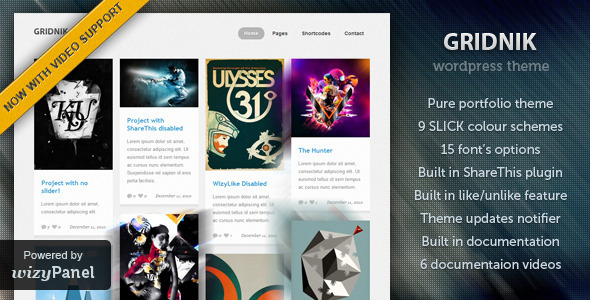 Gridnik is a premium WordPress – Pinterest theme offered at $30. The theme comes in 9 slick colors and 15 font options. 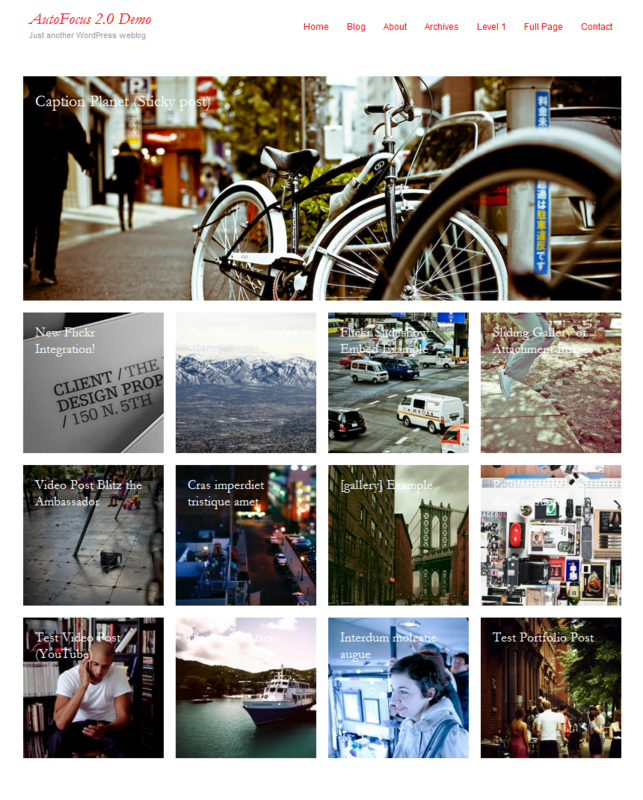 Custom widgets for Flickr, Twitter and video comes along with this theme. Gridnik is powered by AJAX. It has more than 20 useful short codes including sliders, tabs, twitter and Flickr. Gridnik comes with an update notifier to update you on new updates. Narrow Way is a premium based theme offered at $49. 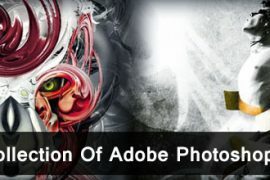 Light documentation, grid alignment fixes, lightbox galleries, excellent slider options, autostart / autostop, Mp3 player, custom slide shows, header bar options are few significant features that come along with this theme. The enhanced live theme editor is one best feature of this theme. Hope you’ve got enough with it! This bunch of WordPress Pinterest themes are hot on the market ; so soon get your blogs geared up with these fab themes! Editor note: Contributor Riya Sherin is the author of this blog post. She has a very good exposure on daily deals software and hotel booking script . She is also an expert blogger, writing for the past 10 years.